Ran off the runway through a fence. 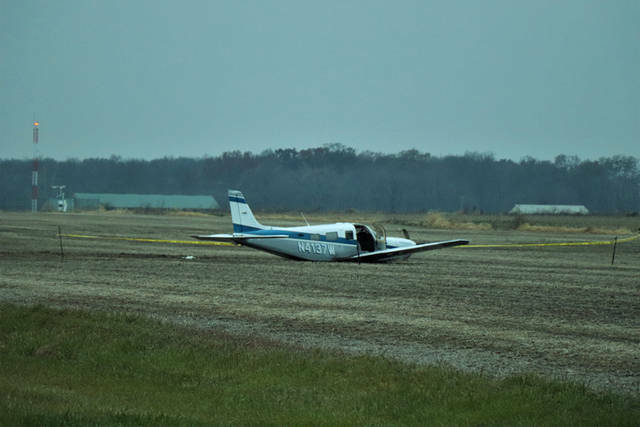 VERSAILLES – A single-engine aircraft crash was reported during a landing Saturday afternoon at the Darke County Airport. At approximately 4:20 p.m., emergency personnel from the Versailles Fire Department, Versailles Rescue and deputies from the Darke County Sheriff’s Office as well as investigators from the Federal Aviation Administration were dispatched to the Darke County Airport located at 9724 State Route 121 in reference to a plane crash. 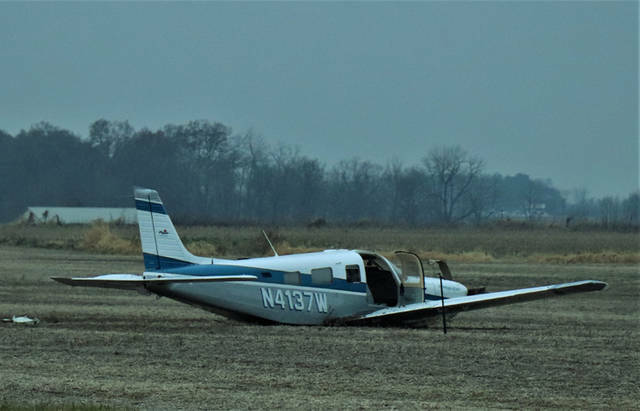 According to the Darke County Sheriff’s Department, preliminary investigations revealed a 1999 Piper Saratoga single engine aircraft, piloted by 77-year-old Charles White of Gallatin, Tennessee, was attempting a landing eastbound on the main runway when the aircraft veered off the the left side and came to rest in a field. The aircraft was reported as losing the left wing and part of the landing gear as a result of the crash. There was no fire reported from the aircraft, and it is unknown if the the fuel cells remained intact from the impact. 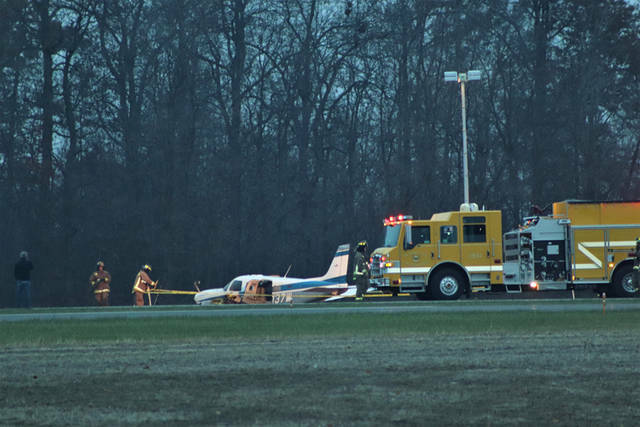 The aircraft was carrying one passenger at the time of the incident, 66-year-old aircraft owner Jeffrey Kingsbury of Gallatin, Tennessee, who was uninjured in the crash. White also was uninjured in the crash but was treated on the scene by Versailles Rescue and transported to Wayne HealthCare for an unrelated issue separate from the incident. The NTSB is expected to arrive at the Darke County Airport sometime on Sunday to assist in the investigation. The incident will remain under investigation by the Darke County Accident Reconstruction Team, the FAA and the NTSB.